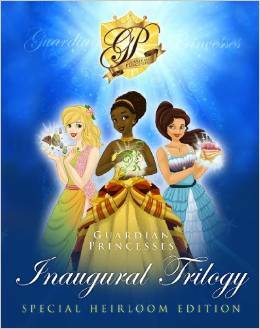 The Inaugural Collection contains the first three Guardian Princess Stories in a Special Heirloom Hardback Volume. Princess Terra and King Abaddon; Princess Vinnea and The Gulavores and Princess Mariana and Lixo Island. Providing a wealth of inspiring lessons and ethical models for children, teens and adults alike.